LOUISVILLE, Ky. (Tuesday, May 1, 2018) – European invader Deauville (IRE), trained by Aidan O’Brien, tops a field of 10 for Saturday’s $500,000 Old Forester Turf Classic (Grade I), one of seven graded stakes on the 14-race program that is highlighted by the 144th running of the $2 million Kentucky Derby Presented by Woodford Reserve (GI). The 32nd running of the Old Forester Turf Classic that is run at 1 1/8 miles, will go as the 11th race with a 5:25 p.m. (all times Eastern) post time. First post time Saturday is 10:30 a.m.
Other stakes on the Derby Day card include the 32nd running of the $300,000 Humana Distaff (GI) for fillies and mares going seven furlongs on the main track, the 84th running of the $500,000 Churchill Downs Presented by TwinSpires.com (GII) for older horses going seven furlongs on the main track, the 27th running of the $300,000 American Turf Presented by Ram Trucks (GII) for 3-year-olds going 1 1/16 miles on the grass, the 33rd running of the Longines Churchill Distaff Turf Mile (GII) for fillies and mares and the 94th running of the $300,000 Pat Day Mile Presented by LG&E and KU (GIII) for 3-year-olds going a mile on the main track. 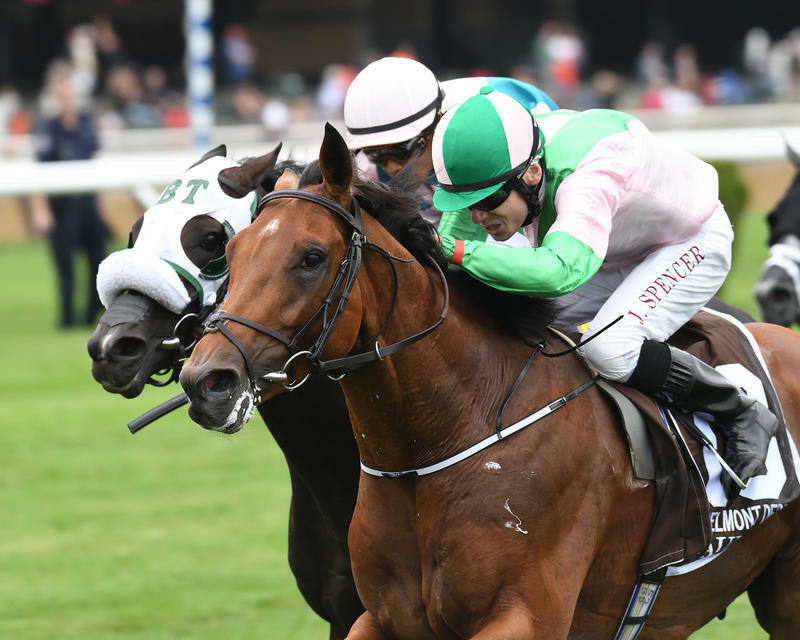 Mrs. Fitri Hay, Michael Tabor, Mrs. John Magnier and Derrick Smith’s Deauville is making his third trip to North America for O’Brien. In 2016 he won the Belmont Derby (GI) and ran third in the Arlington Million (GI), a finish he repeated last year. A three-time Graded or Group winner, Deauville will break from post position one and be ridden by Ryan Moore. The top U.S. threat to the O’Brien duo looks to be 2017 Breeders’ Cup Turf (GI) runner-up Beach Patrol. Owned by James Covello, Head of Plains Partners, Sheep Pond Partners and Al Shahinia Racing and trained by Chad Brown, raced exclusively in Grade I company in 2017 with victories in the Arlington Million and Turf Classic Invitational. Second in this race last year, Beach Patrol will be ridden Saturday by Joel Rosario and break from post position 10. Other top contenders the 1-2 finishers from the Muniz Memorial Handicap (GII) at Fair Grounds: Pin Oak Stable’s Synchrony and Donegal Racing, Joseph Bulger and Peter Coneway’s Arklow. Mike Stidham trains Synchrony, who will be ridden by Joe Bravo and exit post position seven while Florent Geroux has the mount on the Brad Cox-trained Arklow and break from post position six. The field for the Old Forester Turf Classic, with riders and weights from the rail out, is: Deauville (IRE) (Moore, 120 pounds), Shining Copper (Luis Saez, 120), Kurilov (CHI) (Irad Ortiz Jr., 118), Camelot Kitten (Mike Smith, 118), Channel Maker (Javier Castellano, 118), Arklow (Geroux, 120), Synchrony (Bravo, 120), Editore (BRZ) (Drayden Van Dyke, 118), Yoshida (JPN) (Jose Ortiz, 120) and Beach Patrol (Rosario, 120). Carl Moore Management’s Finley’sluckycharm, undefeated in six starts at Churchill Downs, will try to keep her record perfect as she faces seven other fillies and mares in the Humana Distaff. The La Troienne will go as the day’s sixth race with a 1:13 p.m. post time. Trained by Bret Calhoun, Finley’sluckycharm comes into Saturday’s race off her first Grade I victory that came in the Madison at Keeneland. 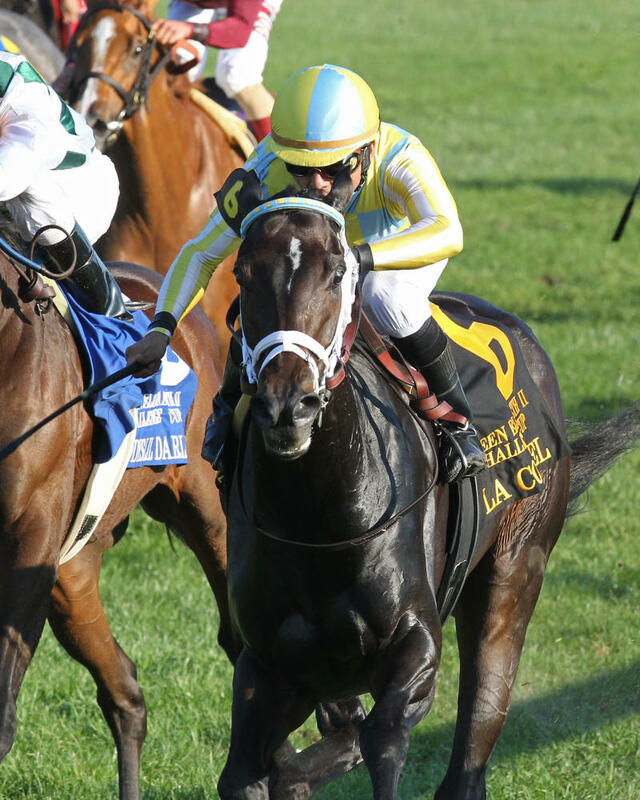 It was her second graded-stakes victory at Keeneland and eighth in Kentucky in eight starts. Brian Hernandez Jr., who has been aboard for her past 11 starts, has the mount Saturday and will break from post position one. Two other runners who finished in the four-horse photo with Finley’sluckycharm in the Madison are back to try again in Alpha Delta Stables‘ Lewis Bay and Kaleem Shah’s American Gal. Trained by Chad Brown, Lewis Bay returns to Churchill Downs where she finished third in the 2016 Kentucky Oaks (GI). Irad Ortiz Jr. has the mount and will break from post position five. Winner of the Test (GI) last year, American Gal was coming off an eight-month layoff in her fourth-place finish in the Madison. Trained by Simon Callaghan, American Gal will be ridden by Jose Ortiz and break from post position eight. The field for the Humana Distaff, with riders and weights from the rail out, is: Finley’sluckycharm (Hernandez Jr., 123 pounds), Salty (Tyler Gaffalione, 118), Ivy Bell (Javier Castellano, 120), Skye Diamonds (Mike Smith, 120), Lewis Bay (I. Ortiz Jr., 118), Miner’s Cat (John Velazquez, 118), Torrent (Jose Lezcano, 118) and American Gal (J. Ortiz, 118). Katherine Ball’s Limousine Liberal will try to become the fifth horse to win the Churchill Downs in consecutive years when he faces nine rivals Saturday. The Churchill Downs will go as the day’s eighth race with a 2:45 p.m. post time. Trained by Ben Colebrook, Limousine Liberal has won five of seven starts in his career at Churchill Downs. A sixth win Saturday would make him the first horse since Sovereign’s Ace (1986-87) to repeat in the race. Second to Churchill Downs rival Warrior’s Club in the Commonwealth (GIII) at Keeneland in his 2018 debut, Limousine Liberal will be ridden by Jose Ortiz and break from post position seven. The Churchill Downs also attracted Raymond Mamone’s Imperial Hint. Trained by Luis Carvajal, Imperial Hint closed 2017 with a runner-up finish in the Breeders’ Cup Sprint (GI) and opened 2018 with a 5-length romp in a stake at Tampa Bay Downs as the 1-5 favorite. Javier Castellano has the mount on Imperial Hint and will break from post position three. The field for the Churchill Downs, with riders and weights from the rail out, is: Whitmore (Ricardo Santana Jr., 120 pounds), Chief Cicatriz (Gary Stevens, 118), Imperial Hint (Castellano, 118), Conquest Windycity (Joel Rosario, 118), Outplay (John Velazquez, 118), Awesome Saturday (Brian Hernandez Jr., 118), Limousine Liberal (J. Ortiz, 118), Warrior’s Club (Luis Contreras, 118), Unbridled Outlaw (Luis Saez, 118) and Awesome Slew (Irad Ortiz Jr., 118). West Point Thoroughbreds’ Untamed Domain, runner-up in last year’s Breeders’ Cup Juvenile Turf (GI) to Mendelssohn, tops a field of 14 and two also-eligibles for the American Turf. The American Turf will go as the day’s ninth race with a 3:37 p.m. post time. Trained by Graham Motion, Untamed Domain won the Summer (GII) at Woodbine before his Breeders’ Cup run. 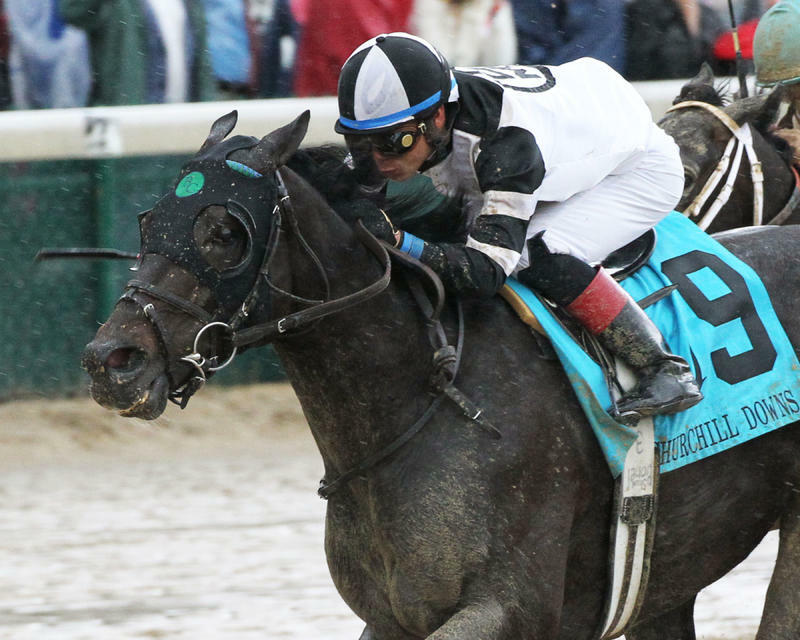 Untamed Domain opened 2018 with a third-place finish in the Dania Beach (GIII) before a sixth-place finish in the Tampa Bay Derby (GII) in his dirt debut. Jose Ortiz has the mount on Untamed Domain and will break from post position 11. Another horse who has been chasing Mendelssohn is Mrs. Evelyn Stockwell’s Threeandfourpence. Trained by Aidan O’Brien, Threeandfourpence returns to the grass after trailing Mendelssohn on an all-weather surface in Ireland and on dirt in the UAE Derby (Group II). Ryan Moore has the mount on Threeandfourpence and will break from post position three. Also entered in the American Turf is the undefeated filly Rushing Fall. 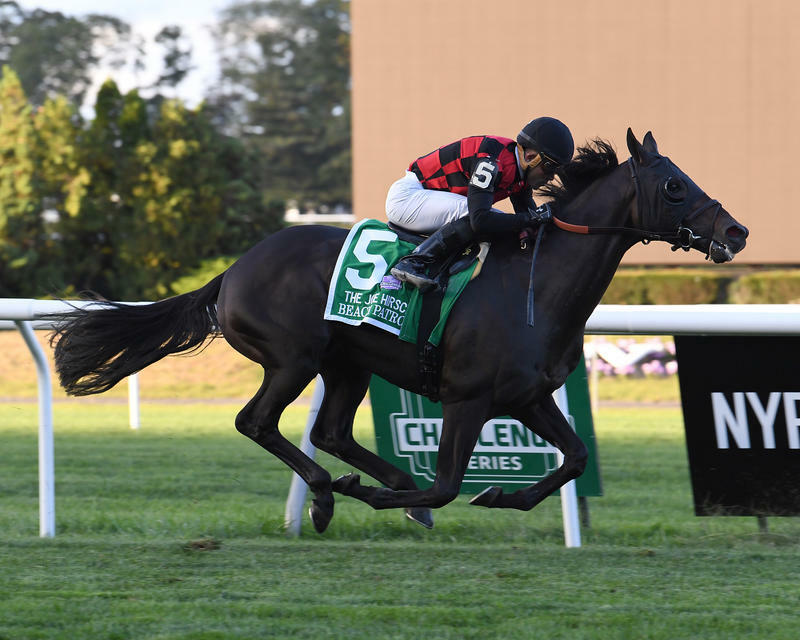 Trained by Chad Brown, Rushing Fall also is entered in Friday’s $200,000 Edgewood Presented by Forcht Bank (GIII) and a Saturday start would be her first against males. Javier Castellano has the mount and will break from post 12. The field for the American Turf, with riders and weights from the rail out, is: Speed Franco (Emisael Jaramillo, 120 pounds), Inscom (Joel Rosario, 118), Threeandfourpence (Moore, 118), Pont Du Gard (Ricardo Santana Jr., 118), Channel Cat (Irad Ortiz Jr., 118), River Boyne (IRE) (Flavien Prat, 118), Tigers Rule (Corey Lanerie, 118), Arawak (Gary Stevens, 118), Captivating Moon (Florent Geroux, 118), Maraud (John Velazquez, 120), Untamed Domain (J. Ortiz, 123), Rushing Fall (Castellano, 118), Dragon Drew (James Graham, 118) and Admiralty Pier (Luis Saez, 118). Also-eligible: Alternative Route (Adam Beschizza, 118) and Tiz Mischief (Robby Albarado, 118). John Oxley’s La Coronel, winner of the Edgewood (G3) here last year and the Queen Elizabeth II Challenge Cup (GI) at Keeneland last fall, heads a field of 11 for the Longines Churchill Distaff Turf Mile. The Longines Churchill Distaff Turf Mile will go as the day’s seventh race with a 1:55 p.m. post time. Trained by Mark Casse, La Coronel enters Saturday’s race off a fourth-place finish in the Jenny Wiley (GI) at Keeneland. Jose Lezcano has the mount on La Coronel and will break from post position 11. Trying La Coronel for a second time will be Slam Dunk Racing‘s Madam Dancealot (IRE). Trained by Richard Baltas, Madam Dancealot finished third in the Queen Elizabeth and comes into this race off a victory as the favorite in the Santa Ana (GII) on March 18 at Santa Anita. Corey Nakatani will ride Madam Dancealot and leave post position one. The field for the Longines Churchill Distaff Turf Mile, with riders and weights from the rail out, is: Madame Dancealot (Nakatani, 120 pounds), Thundering Sky (Rajiv Maragh, 118), Dream Awhile (Irad Ortiz Jr., 118), Insta Erma (Joel Rosario, 118), Dream Dancing (Javier Castellano, 118), Proctor’s Ledge (John Velazquez, 118), Res Ipsa (Julien Leparoux, 118), Madame Stripes (ARG) (Flavien Prat, 118), On Leave (Jose Ortiz, 118), Pyscho Sister (Florent Geroux, 118) and La Coronel (Lezcano, 120). Robert Baker and William Mack’s Sporting Chance, winner of the Hopeful (GI) last summer at Saratoga, headlines a field of 14 3-year-olds for the Pat Day Mile. The Pat Day Mile will go as the day’s 10th race with a 4:28 p.m. post time. Trained by D. Wayne Lukas, Sporting Chance comes into Saturday’s race off a run in the Blue Grass Stakes (GII) in which he finished third but was disqualified to fourth for interference in the stretch. Luis Contreras has the mount for the first time on Sporting Chance and will break from post position 11. Two other entrants of note are Lane’s End Racing’s undefeated Mask and third-place Florida Derby (GI) finisher Mississippi. Trained by Chad Brown, Mask has won his first two starts by a combined 9 ¼ lengths including a last-out triumph in the Mucho Macho Man Stakes at Gulfstream Park in January. Javier Castellano has the mount on Mask and will break from post position eight. M.V. Magnier, Michael Tabor, John Oxley, Derrick Smith and Markus Jooste’s Mississippi, a maiden winner here last fall, comes into the race after trailing only Kentucky Derby starters Audible and Hofburg in the Florida Derby in his stakes debut. Trained by Mark Casse, Mississippi will be ridden by Julien Leparoux and break from post position five.